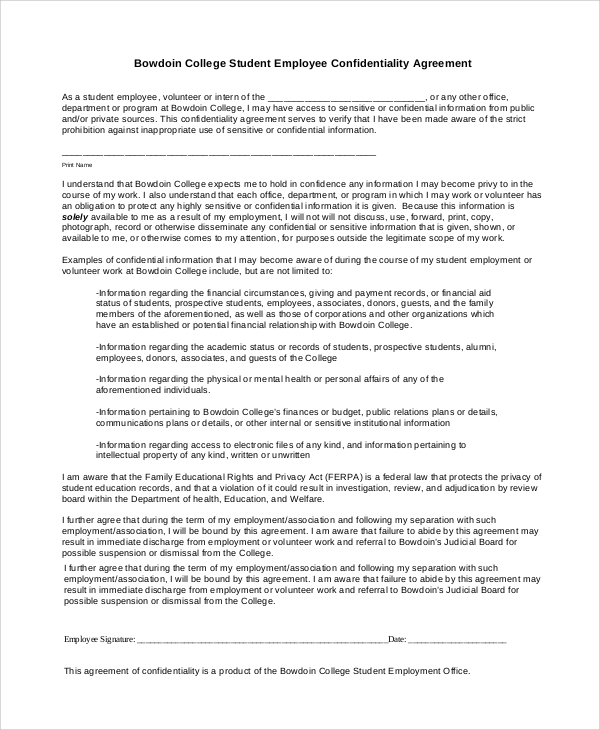 Employee financial confidentiality agreement is a sample financial confidentiality agreement. This PDF document contains all necessary key points in bulleted fonts to be followed by the employees. 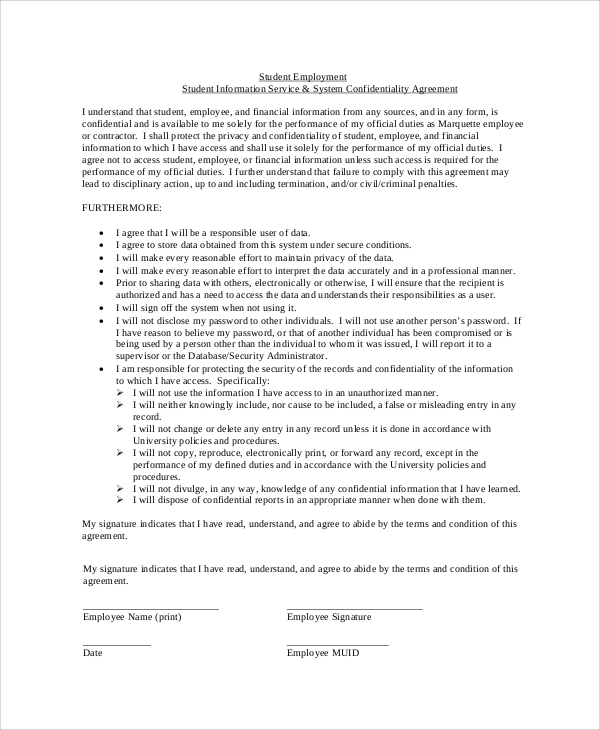 Take a print out of the agreement and ask employees to sign it along with the date. 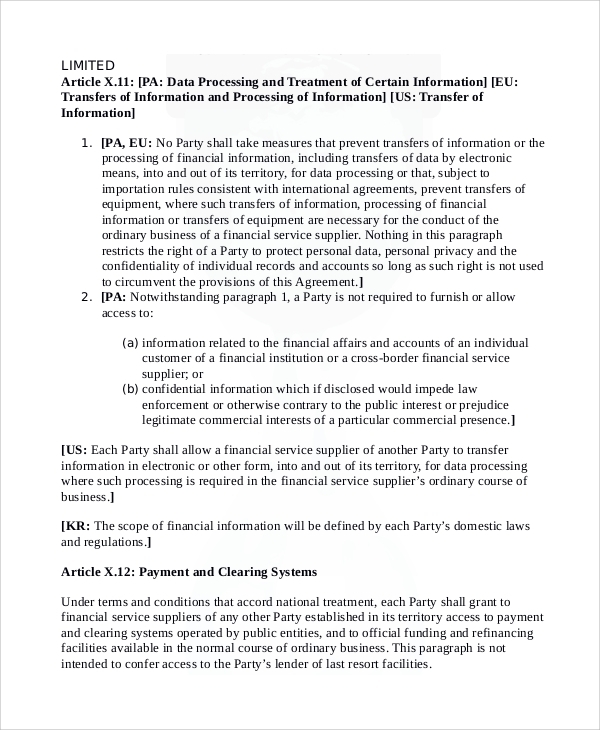 Make a custom company financial statement agreement using the financial statement confidentiality agreement template. 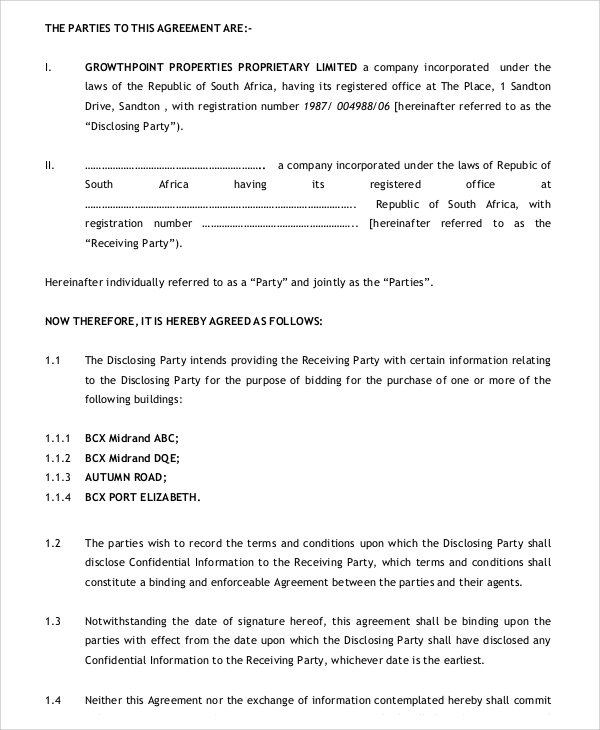 You can customize confidentiality agreement using digital software. It includes company name and contact details along with all necessary guidelines. Also, you can add custom points and write steps that your organization will take against agreement violation. 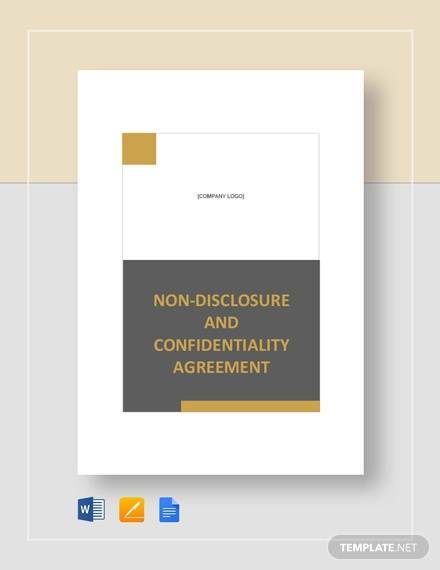 Financial disclosure agreement is a print-friendly read-to-use stuff for signing non-disclosure statements. Download the PDF file and customize it using digital software. 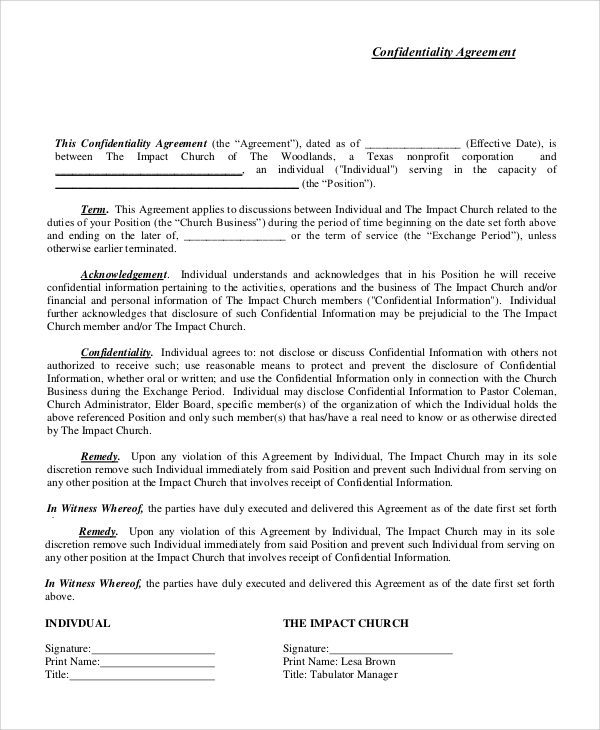 Take out a print and sign it in presence of the witness. It also includes input fields to capture witness signature. 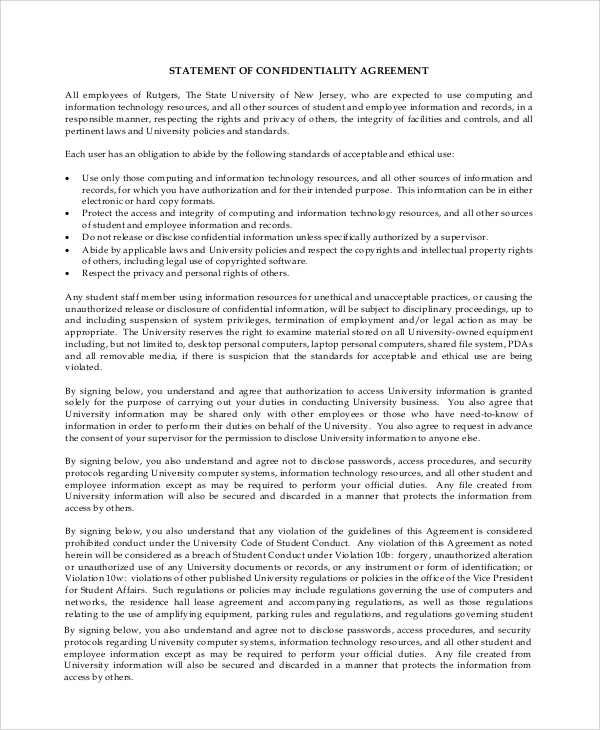 Use financial services confidentiality agreement sample document for signing any financial contract. 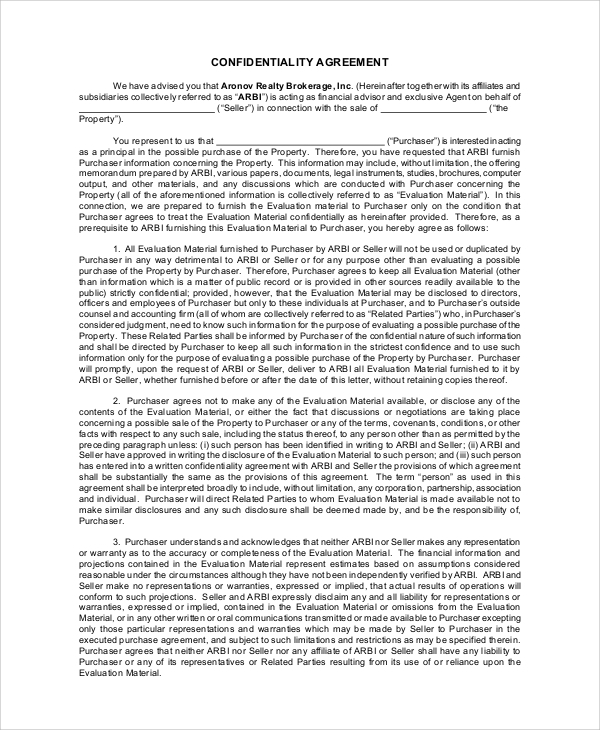 Customize the template using digital or online software and make it a custom agreement paper for personal/company use. What is the Benefit of Using Financial Confidentiality Agreements? Our sample business confidentiality agreement templates are simple, clear, and professional designs. 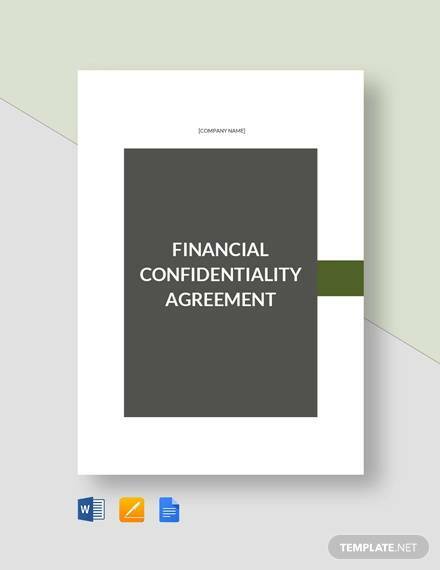 Take reference or download the sample templates for creating custom financial confidentiality agreements.